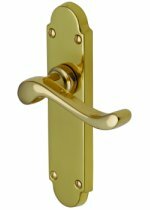 Bedford door handles produced in solid brass, supplied in pairs with follower bar and fixings. 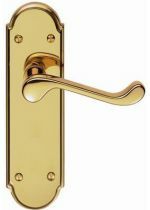 Door handle size: 154mm x 40mm. 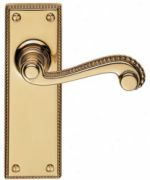 Savoy door handles produced in solid brass, supplied in pairs with follower bar and fixings. 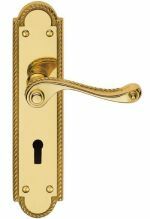 Door handle size: 171mm x 42mm. 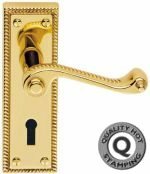 Premium quality Georgian door handles produced in solid brass, supplied in pairs with follower bar and fixings. 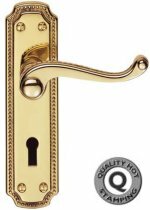 Door handle size: lever lock and bathroom set 150mm x 48mm. 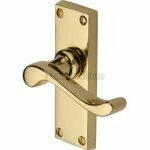 Lever latch and privacy set 112 x 48mm. 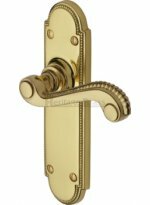 Solid brass straight Victorian door handles, supplied in pairs with follower bar and fixings. 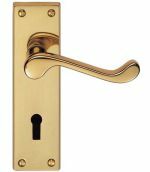 Door handle size: lever lock & bathroom set 150 x 43mm, lever latch & privacy set 118 x 43mm. 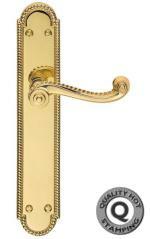 Solid brass Garrick door handles supplied in pairs with follower bar and fixings. Door handle plate size 175mm x 50mm. 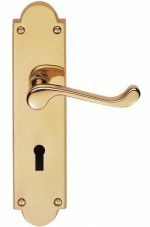 Solid brass St James door handles supplied in pairs with follower bar and fixings. 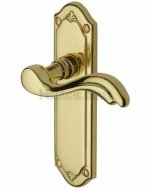 Door handle size 6 x 2inch (155mm x 51mm). 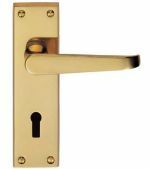 Solid brass Adam door handles supplied in pairs with follower bar and fixings. Door handle plate size 175mm x 47mm. 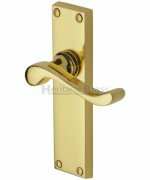 Lisboa door handles produced in solid brass, supplied in pairs with follower bar and fixings. 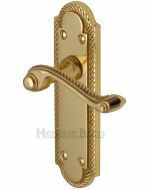 Door handle size: 175mm x 48mm.